Graduate of a three year education in Registered Massage Therapy and have been in practice for 8 years. Prior to being an RMT I provided massage therapy as a clinical Aromatherapist certified as a Natural Health Practitioner of Canada for 9 years. I have massaged tens of thousands of people over the last 16 years of practice. I graduated from the Canadian College of Massage Therapy in Halifax and attended the West Coast and Okanagan Colleges of Massage Therapy in BC with extended focus in sports massage, myo-fascial release, joint mobilization, and therapeutic exercise. I formed Essential Knead Aromatherapy Massage in 2003 with practices in Victoria, Williams Lake and Rossland BC. I formed Chrysalis Registered Massage Therapy in 2012 opening my first RMT practice along with a yoga studio in the Kootenays. People came from all over the Kootenays and the Okanagan for massage therapy from me and the yoga studio offered yoga, taichi, meditation and art classes. In the Kootenays I enjoyed hiking and trainings with the Kootenay Mountaineering Club. I moved to Nanaimo in 2017 to continue Chrysalis Registered Massage Therapy and complete the development of an Integrative Health Education. My RMT education is special in that it includes 3 yrs of myo-fascial restructuring training from 3 different massage therapy schools and from the best teachers in Canada. My continuing education also stays focused in this specialty area of Myo Fascial work, with certifications in MIPA- Myo Fascial Integration and Postural Alignment, which is a condensed version of the schooling called Structural Integration in the USA. I also focus my continuing education for massage therapy in Osteopathic techniques and Zero Balancing. I also received extra years of education in clinical therapeutic exercise, hydrotherapy, joint mobilization, and sports massage, due to attending 3 massage therapy schools. I did practicums treating varsity athletes of Dalhousie University and varying sports teams including Dragon Boat racers, and have accumulated 8 years of providing sports massage to the outdoor keeners of the Kootenays and Vancouver Island, including children and teen athletes and dancers. I have attended Pain Conferences and Neuroscience Conferences, and am continuously expanding and deepening my knowledge in body science and staying on the forefront of leading edge researchers. I also have a 3 years of education in Clinical Herbology since 2001, and a diploma in Clinical Aromatherapy since 2003, and certifications in JinShinDO Acupressure 2009, CFG Qigong 2010, Usui Reiki 2013, Shamanic Medicine 2014, MIPA 2016, Zero Balancing 2017, Osteopathic muscle energy techniques 2018. I am also a certified yoga instructor since 2011, and lived in an Ashram to receive a traditional yoga education and became an instructor based in the promotion of peace and propagation of yoga, not just in the physical exercise of yoga poses, but in a traditional holistic scope of the science, philosophy, practices and wisdom of yoga. I have been practicing yoga since I was a child and have also received certification as an Ayurvedic Wellness Counsellor the health science of yoga, after 15 years of study. I have attended advanced yoga teacher trainings and yoga anatomy and therapy trainings. I am currently developing an integrative education based in ancient medicines and modern health science. I have also undergone formal Tibetan Buddhist trainings at various Buddhist centres across North America and have studied and practiced deeply for 27 years. I have received the Thousand Buddhas, Medicine Buddha and Powa transmissions. I have trained in Iaido, Karate, Taiji, & Qigong internal and external martial arts; was a competitive figure skater and champion of Vancouver Island as a kid, and went to Canadians with the Cowichan Precision team. I appreciate all the skills that theses disciplines have taught me. I am ever grateful for the knowledge I have explored and dedicated my life to; and throughout my lifetime of studies and trainings have developed a deep and integrative understanding of how the body and mind work and heal. ​I am happy to be able to share this with you. I was born and raised on the Saanich peninsula, grew up training as a competitive figure skater, went to UNBC to study Siberian history and Russian language, travelled all of North and Central America from Alaska to Costa Rica, Haida Gwaii to Newfoundland, California to New Jersey and everywhere in between. The Kootenays is my second home where I began my RMT and yoga teaching careers. I am now back to my roots on Van Island and part of Nanaimo’s health care professionals. I have been studying natural health in Eastern and Western modalities for 27 years, and have developed a deep understanding of the human body, it's physical form, function and recovery from cellular level to its invisible energy systems. 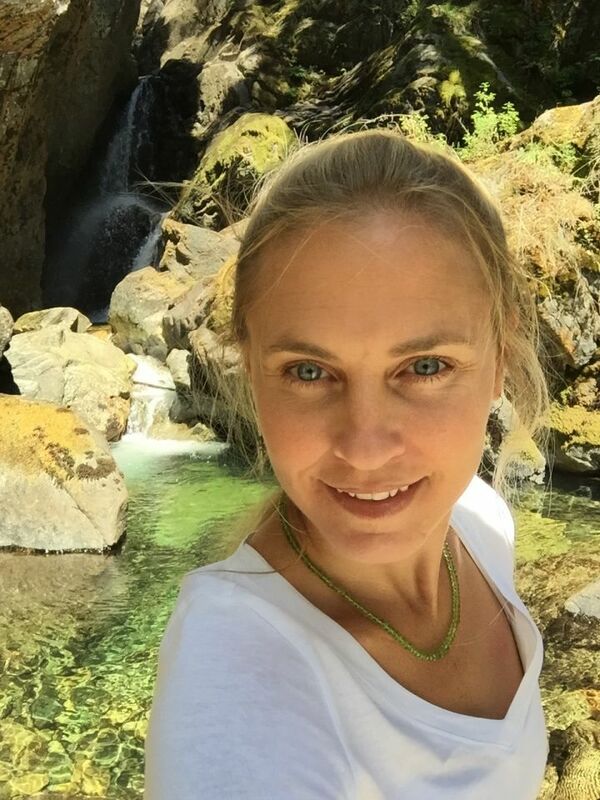 Natural health and human potential have always been my passions and I believe inner peace, natural food, movement, alignment, and spending time in nature are the truest of medicines. I enjoy kayaking, mountain biking, snowboarding, gardening, astronomy, painting and teaching myself how to play violin.